Reasons, resources and strategies to make your full or part-time expat life in Mexico a reality. Every country has two wolves within it. Voters have had it with corruption. The new president vows to live the way he’s always lived, humbly. My new apartment is a feast for both the eyes and the ears. Cultural events are great places to meet the natives. Even if your Spanish is just passable, you can demonstrate your respect and appreciation for Mexico’s artists and gain some insight on the cultural that will serve you well down the road. A reminder on the importance of proper hydration, especially in humid areas like coastal Mexico and how to hydrate like a native. Good Sighs, Bad Sighs. Which Best Describes Yours? Do you sigh during the day? What does your sigh mean to you? Oaxaca has much more than the handcrafts and folk art for which it is so famous. A new generation of artist is making its own history. José Santos is one such artist. Corruption in Mexico, "We Are All Corrupt"
In the cartoon, the person asks, "What can we do to end corruption?" It's a simple cartoon to explain a complex problem. Ventanas Mexico blog posts are insights on living in Mexico focusing on language, culture, costs, healthcare, music and all-around comparisons to life in the U.S.
Don't let the date of a published blog discourage you from reading it. These blogs are updated, revised and enriched daily. New information and links to newly-discovered blogs and articles by other writers on the subject at hand are added continually. Beginning in 2018, you will see more and more about particular areas you should consider. Many people like to keep a U.S. or Canadian footprint for at least few years while they test the warm, blue Mexican waters. Blogs include resources on both sides of the journey that make part-time expat life easier than ever. People have retired to Mexico for generations. Today however, the availability of reliable internet, imported goods, and expanded flights make Mexico practically a no-brainer for those retiring on a budget. 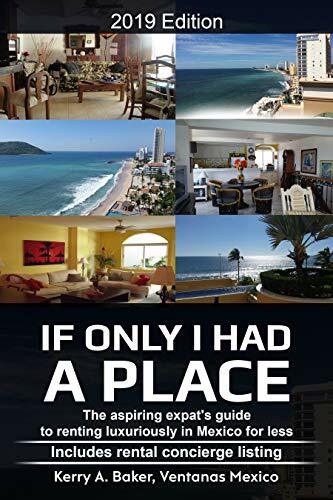 "If Only I Had a Place, A Guide to Renting Luxuriously in Mexico for Less," gives the aspiring expat the information realtors don't want you to know, the inside track. A listing of vetted rental concierges in many of the popular expat destinations is included. They can view potential places if you can't be there yourself. Reviews here. Subscribe to the website, indicate a book purchase and receive updates on renting information, new tips and additions to rental concierge listings. Don't be fooled by sites that gloss over the subject. Renting is different in Mexico. "The Interactive Guide to Learning Spanish Free Online." - Your guide for learning Spanish on your own terms. To live the expat life to the fullest, you need to speak the language. Learning a language takes time and for most, at least several years of study to speak conversationally. If you think Mexico or another Spanish-speaking country is in your future, the time to get started on learning Spanish is now. You can learn another language as an adult. 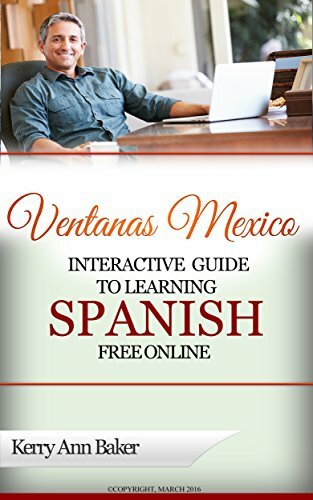 "Ventanas Mexico Interactive Guide to Learning Spanish Free Online" is an interactive curation that links you via interactive links directly to the best Spanish learning free tools and website features on the web. Study from your laptop, e-reader or tablet. The book is supported by a book page on this site. Ventanas Mexico Pinterest board is the place to find travel tips and inspiration, tested recipes for cooking while in Mexico. Ventanas Mexico Facebook page, Google + page and Twitter feeds are dedicated to forwarding articles from the web about expat life, updates on the healthcare crisis in the United States and select blogs. E-mail is the best means to reach me.